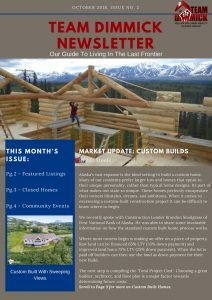 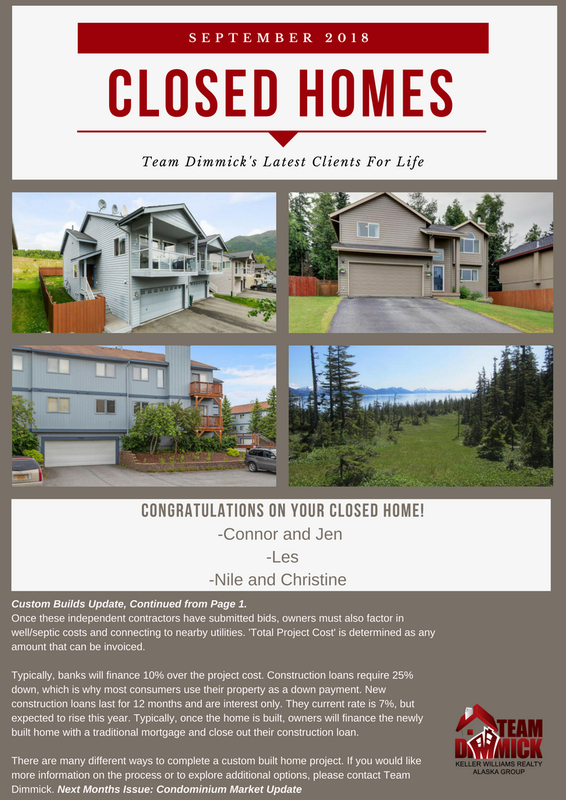 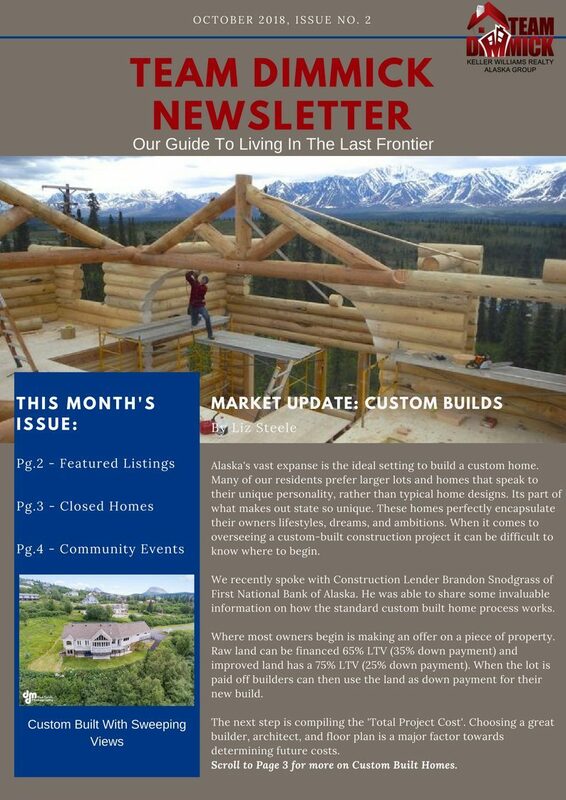 The October Issue of the Team Dimmick’s Newsletter features some invaluable information on building homes in Alaska. 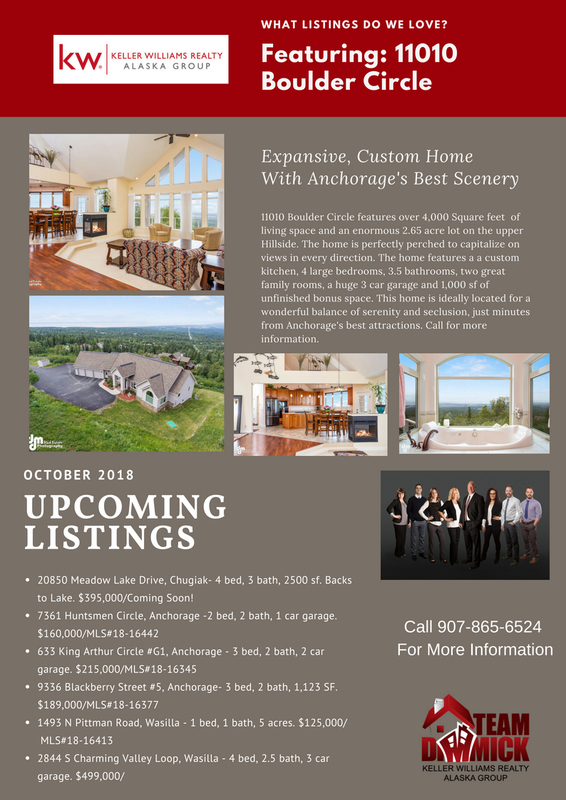 We will explore the financing process and feature some amazing custom built homes in the Anchorage area. 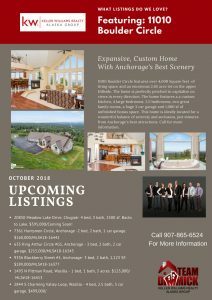 Also, keep a look out for our exciting New Listings coming onto the market in the month of October and this month’s exciting community events. 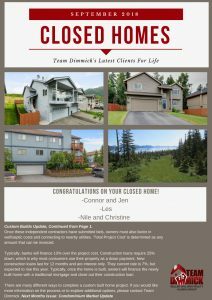 Finally, a big congratulations to our latest Clients For Life. Click on the Images below to enlarge. 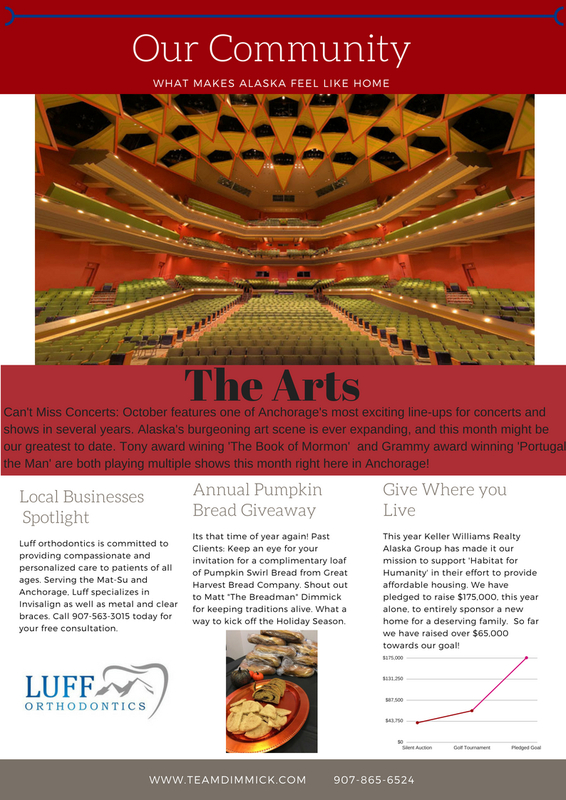 Have a fantastic October!